I keep telling people that “smart home” devices, such as Amazon’s Alexa, record everything you say and turn it into a transcript for lawyers to obtain. If you think you have nothing to worry about, think again. During a sleazy divorce proceeding, for example, this can and would be used against you. If you become a thorn in the side to a local government, some political hack holding a State or Federal AG title (e.g. Eric Schneiderman or Eric Holder) can use it to prosecute you (as Obama did to Dinesh D’Souza or Obama stooges in the Deep State did to Paul Manafort and General Flynn). If you live outside of this country and use these devices, forgettaboutit. In the U.K., for example, you have no rights to privacy or free speech. People are being prosecuted for saying things slightly offensive to the pro-immigration communist agenda. You don’t believe me? I am a paranoid tin-foil-hat conspiracy theorist? 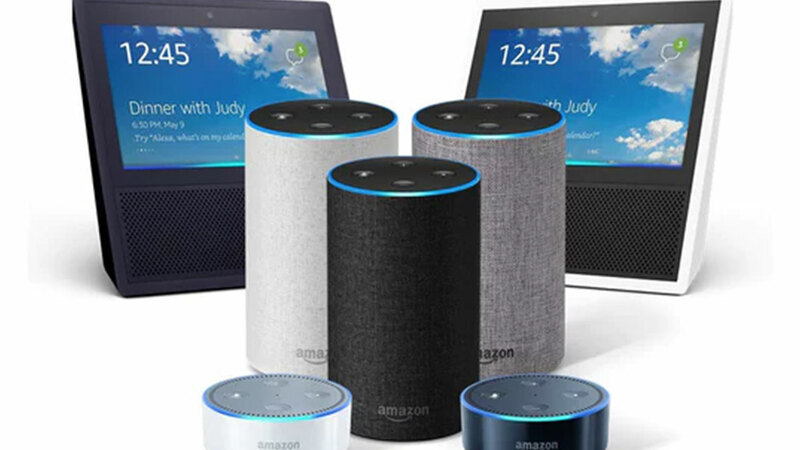 In the news today is a New Hampshire double murder case where the state prosecutors are subpoenaing the Alexa recordings from the home. That is how any loss of your constitutional rights begins. Big Brother uses legitimate cases of crime, such as the post-9/11 terrorist fears, or a double murder, to trample on the Fourth Amendment, or First Amendment, etc. And it is not just devices like Alexa, or Siri on your phone. Hotels are now monitoring your every movement. In New York, I recently was placed in a terrible European-owned chain called Yotel. I noticed that the light on the smoke detector went off every time I moved. I asked the front desk. It was a motion detector spying on me to give the hotel feedback on when people are in their rooms and doing what. When will sound recordings be next? Why not just put a camera up? It is not just small gadgets. It is a fact that China has implanted small chips into electronics made in China so that military secrets can be stolen, among other things. Ed Snowden revealed that our own spy agencies tap into or smart TVs, laptops, etc. In my opinion, this is the biggest threat to democracy. Once the U.S. government can identify all enemies, uses search word algorithms to focus on a few, then destroy their lives, it will send chilling messages to the rest of the law-abiding average citizens to not speak up. The NRA gun nuts afraid of some sheriff taking their freedoms away if they give up the right to own assault weapons are suckers. Their own iPhone or Alexa is a far greater threat to their personal liberties. This dystopia is a reality in the rest of the world, and is silently creeping into the country like a Trojan Horse. In this case, it is an Amazon Alexa. Congress needs to act now to pass laws restricting these seemingly innocuous home listening devices. Just as there are food labels, all devices must spell out what forms of data they collect (i.e. voice, location, video, etc.) and how it is stored. Companies must allow users to have their entire databases erased. Our spy agencies must not be allowed to award large contracts to companies, such as Google and Amazon, blurring the line between government surveillance, restricted by the Fourth Amendment, and corporate spying that is not protected. This entry was posted in - Opinion, - Policy, Congress. Bookmark the permalink.